New Japanese Air Force One: A350 has very low possibilities to win the competition. 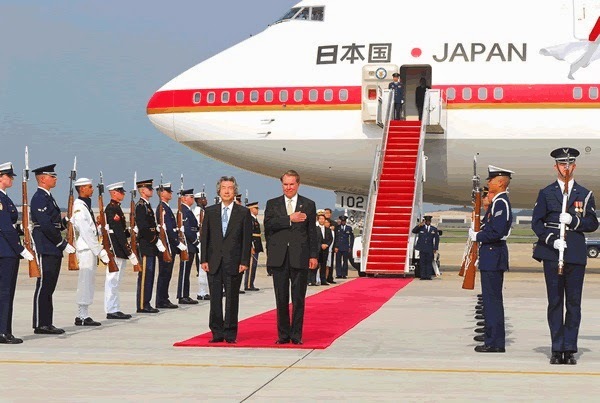 Japanese Prime Minister Shinzo Abe and Emperor Akihito will soon say goodbye and will retire the old Boeing 747-47C that have been used for more than 20 years. The government has decided to look for the latest and most fuel-efficient aircraft to fly their heads of state. 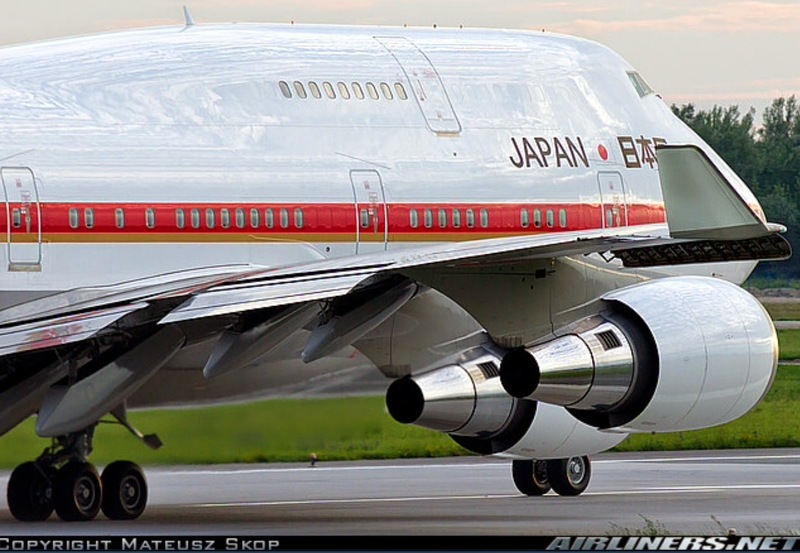 Boeing and Airbus are now in fierce competition to supply the Japanese Air Force One. 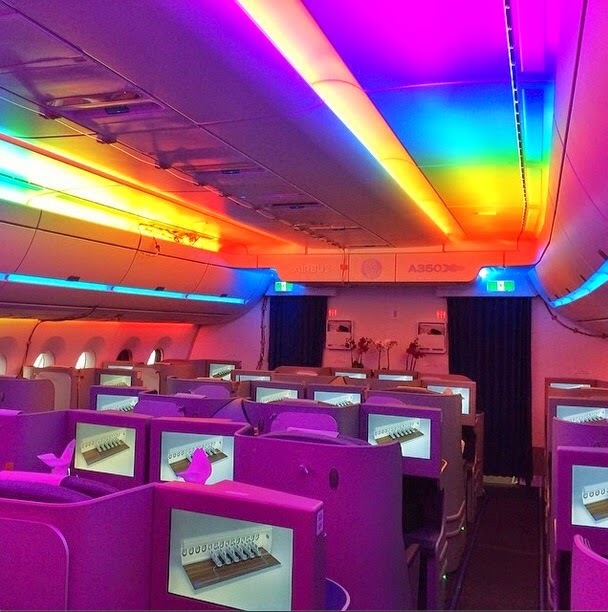 Boeing has released the 777-300 model while Airbus has proposed the A350 XWB. The government currently has two poor-fuel-efficient Boeing 747s that have been in official use and managed by Self Defense Forces since 1991. The government hopes to make a decision by summer of this year to have enough lead time for customization. The target date to start flying the aircraft is 2019, considering the current planes’ maintenance contract under Japan Airlines end by 2018. A budget of 135.5 billion yen has been allocated for the 2 new aircraft for a period of 5 years. 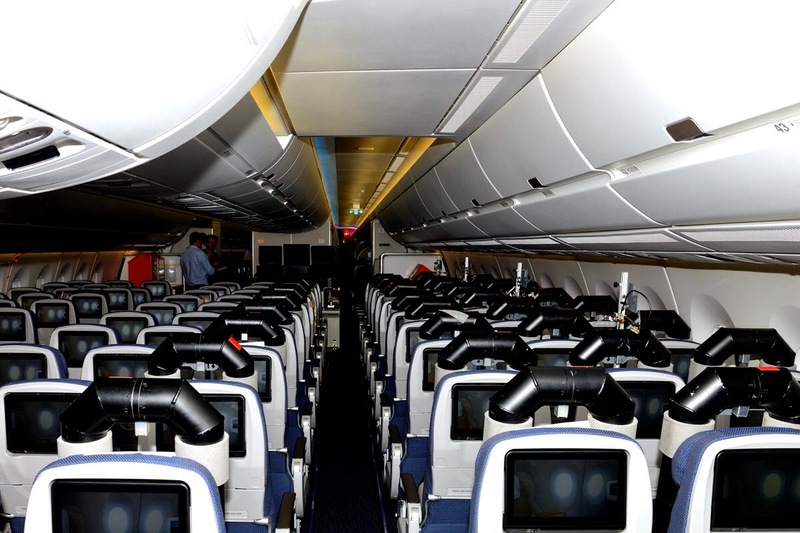 Customization of the plane will take many months for VIP cabin, office and other configuration. The planes must be able to fly directly from Haneda Airport in Tokyo to the East Coast in the United States. It is thought that Boeing will win the competition, considering that Japan will keep its share of production in the new 777X aircraft. Mitsubishi Heavy Industries and Kawasaki Heavy Industries will build 1/5 of the 777X, retaining Japan as its key Asian partner in commercial jetliners. 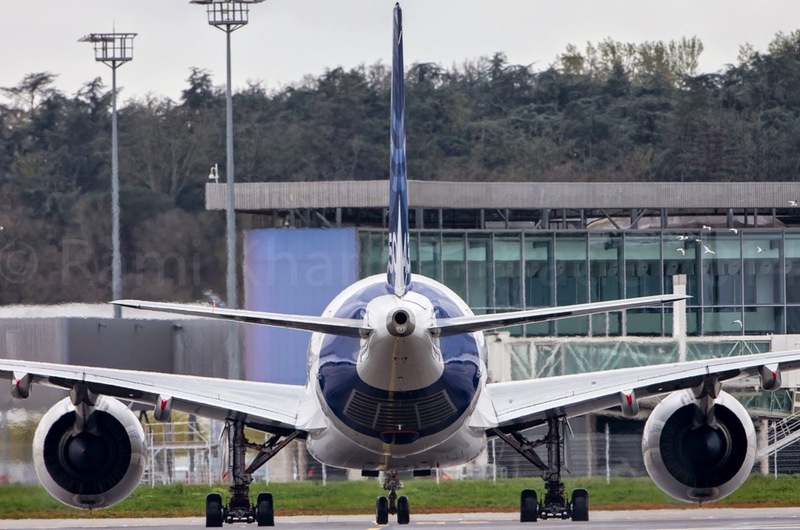 For Mitsubishi Heavy, Kawasaki Heavy, Fuji Heavy Industries and other Japanese suppliers, the high watermark for Boeing work so far is the 787 Dreamliner, with 35% of the aircraft, including wings, built in Japanese plants. Boeing reckons that the business it gives Japan employs 22.000 engineers, accounting for around 40% of the country's aerospace workforce. But an official from the Japanese MoD pointed out: “We are not favoring any particular manufacturer.” And last year Japan Airlines –current responsible of the Japan Air Force One maintenance- ordered 31 A350s instead of the 777X. Based on the article “Boeing, Airbus competing to provide official planes for Japan” published in Japan Daily Press and on the article “Japan to keep its share of production of Boeing's new 777X aircraft” published in Reuters. TAP Portugal will consider Asia routes beyond 2017 with the A350 in its fleet. 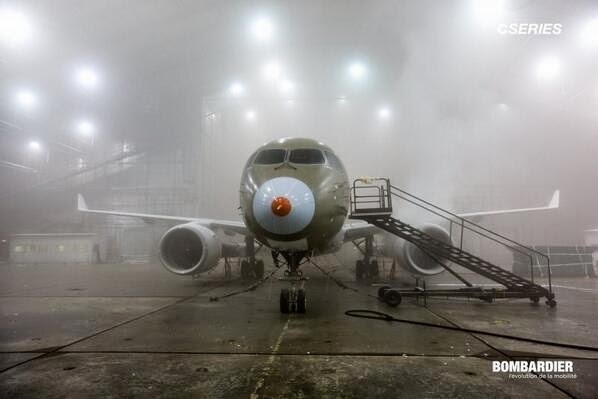 TAP Portugal finance director Teresa Lopes, speaking at the CAPA – Aviation Fleet & Finance Summit, said the carrier will consider Asia routes beyond 2017 following the arrival of the A350 aircraft to its fleet, but added it will not happen before then. The airline’s fleet (including that of its fully-owned subsidiary Portugalia) currently comprises 16 wide-body Airbus aircraft, 39 A320-series aircraft, 6 Fokker 100s, 8 Embraer ERJ 145s and 2 Beechcraft 1900Ds. 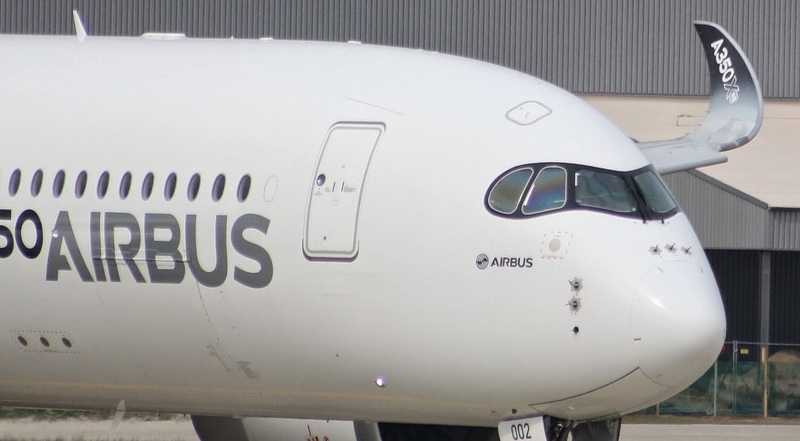 According to Airbus, the airline’s unique orders for new aircraft are for 12 A350-900s. TAP Portugal finance director Teresa Lopes, speaking at the CAPA – Airline Fleet & Finance Summit 2014, and commenting on financing for the carrier’s A350 fleet, stated it is hoping to have access to some cash through its privatization if it occurs. Ms Lopes also said if its privatization does not happen then the carrier will consider tapping the market to see what is available by 2017, when the aircraft are scheduled for delivery. 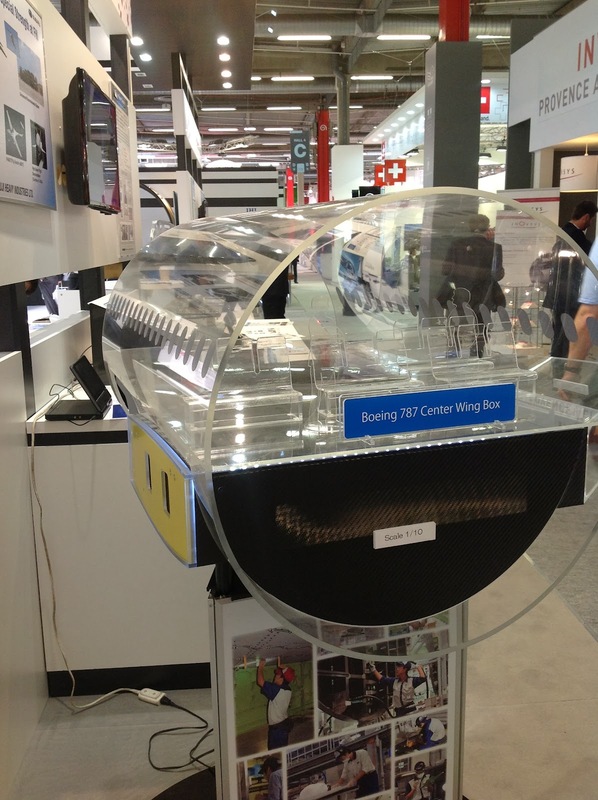 She added the carrier have always been able to finance its aircraft successfully. For a government-owned flag-carrier operating in one of Europe’s most economically challenged countries, TAP Portugal had a surprisingly good 2013. Passenger number were up 5% to an all-time high of 10.7 million, and the annual load factor reached 79.4%, another company record. TAP Portugal has announced plans to serve 10 new destinations in 2014, including 2 in Brazil, which will be appreciated by football fans across Europe. 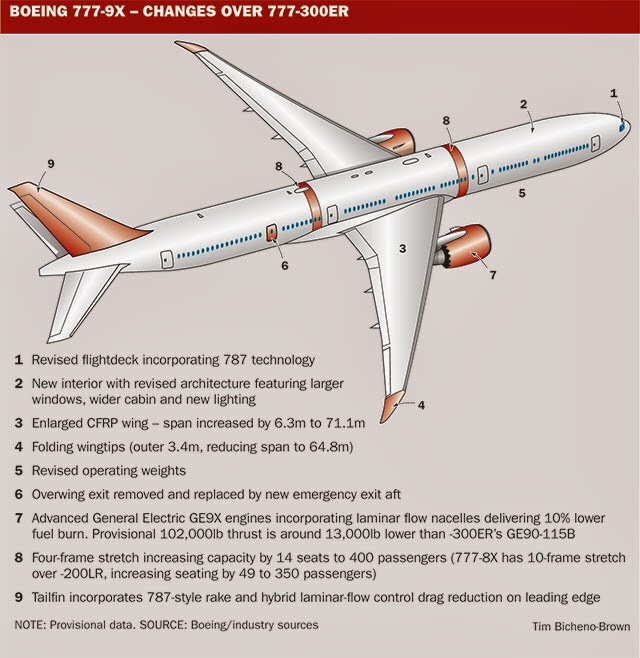 Should Airbus be taking the threat from the 777X more seriously? The arrival of the Boeing 777X creates challenges for both the major aircraft manufacturers, but Airbus faces the biggest dilemma as it evaluates what it should do about competitive threat posed by the type. When Boeing launched the 777X at last year’s Dubai air show, backed by commitments for over 300 aircraft from four customers, Toulouse’s worst nightmare became a reality. 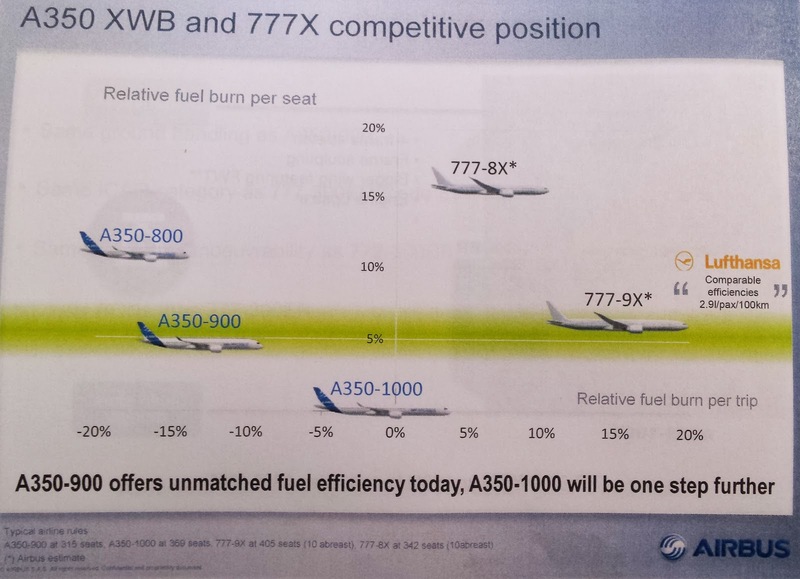 Unsurprisingly, Airbus is dismissive of the threat posed by the new big-twin. 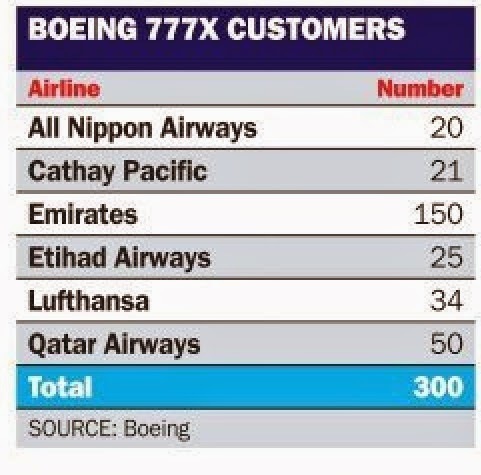 But given its backing from blue chip customers like All Nippon Airways, Cathay Paciﬁc, Lufthansa and the Gulf’s triumvirate of global network carriers, should the European manufacturer be taking the threat from the 777X more seriously? And do the airlines once again ﬁnd themselves with just one go-to vendor when seeking the largest twin-engined “seat-production machine”? 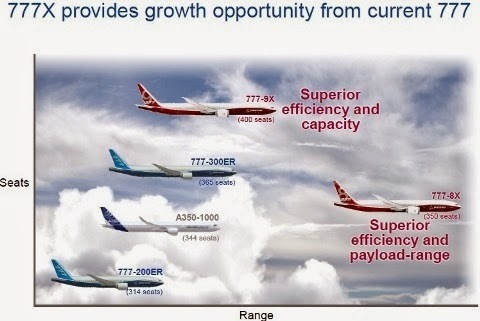 “The 777-8X sits right on top of the A350-1000 in terms of size, but has a range advantage and is more fuel efﬁcient. And then we have the [larger] -9X, which gives us the ability to go into that territory that is unchallenged, which is really great,” said Boeing’s marketing vice-president Randy Tinseth. Airbus argues that its product line offers simplicity, while Boeing points to an even spread of aircraft across the 200-400 seat sec-tor. 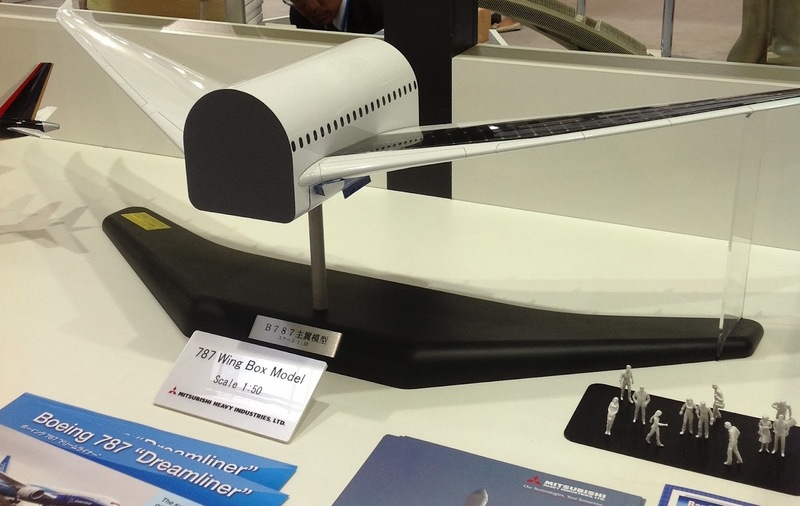 “Boeing has been waxing eloquent about how impressive their widebody product line is. Well actually it looks like a bit of a dog’s breakfast to me,” says Airbus chief operating ofﬁcer for customers John Leahy. “If they’ve got the sweet spot in the market, there are an awful lot of sweet spots.”Leahy argues that airlines want simplicity and that Boeing’s multi-faceted line-up is “not reasonable” in the current age. “My competitor has 8 different models competing with four of ours. Those eight different models represent four aircraft families within them – different cockpits, different engines, different support.”However, Boeing highlights its sales success in the widebody sector as evidence that it has called the strategy right. The market is currently voting slightly in favour of Seattle, with Boeing holding a 55% share of the widebody twinjet backlog. 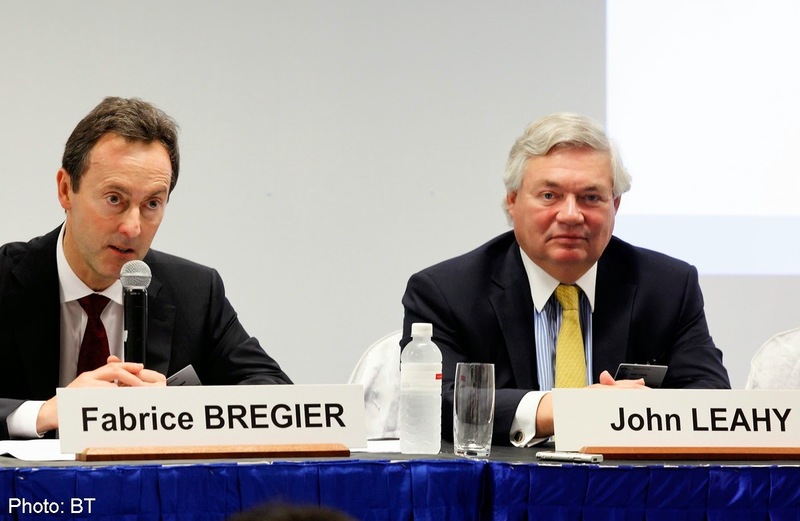 “Airbus has a lot of questions it has to answer – what does it do about the A330, about the A350-800 – I think the writing is on the wall already – and about the A350-1000.“They signed up a great customer in Cathay Paciﬁc for the -1000, and now all of a sudden it is also a 777X customer, so it really limits what the -1000 can do.” says Boeing’s marketing vice-president Randy Tinseth. 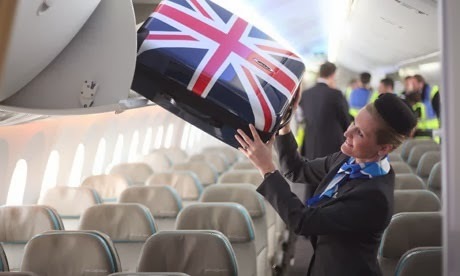 “The Airbus conundrum is do they consider a family below the A350 – potentially covering 220 to 300 seats – or do they consider a 380-450 seat family to close the gap between A350-1000 and 558-seat A380?” asks Rob Morris, head of advisory at Flightglobal’s Ascend advisory service. Based on the article “X Factor” published in Flight International. Large overhead stowage bins in A350 to match growing hand-luggage volume requirements. 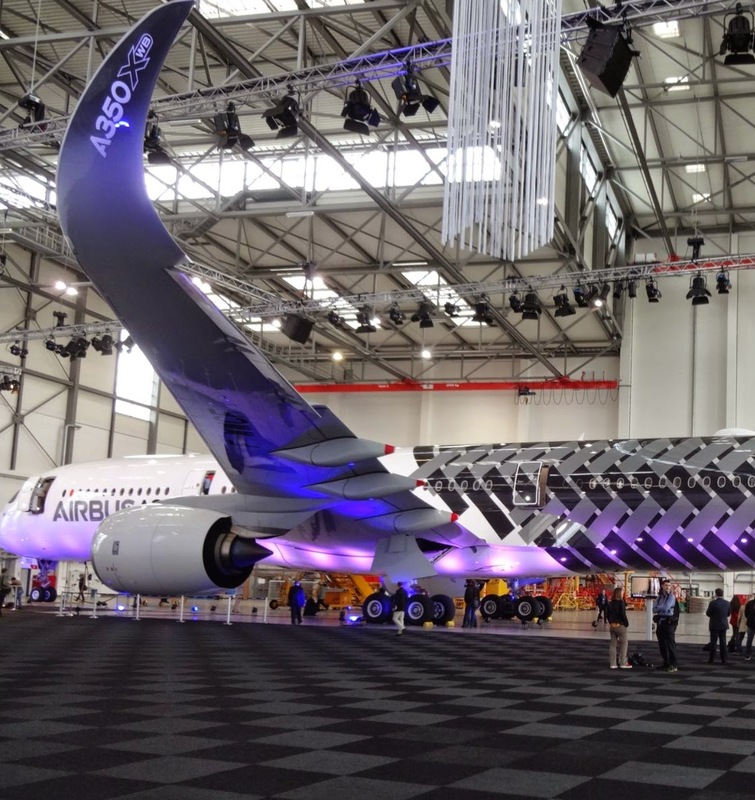 Airbus emphasized during the Aircraft Interiors Expo 2014 held in Hamburg that the A350 has near-vertical sidewalls, adding “eXtra” spaciousness to the cabin and the large overhead stowage bins to match growing cabin baggage volume requirements. 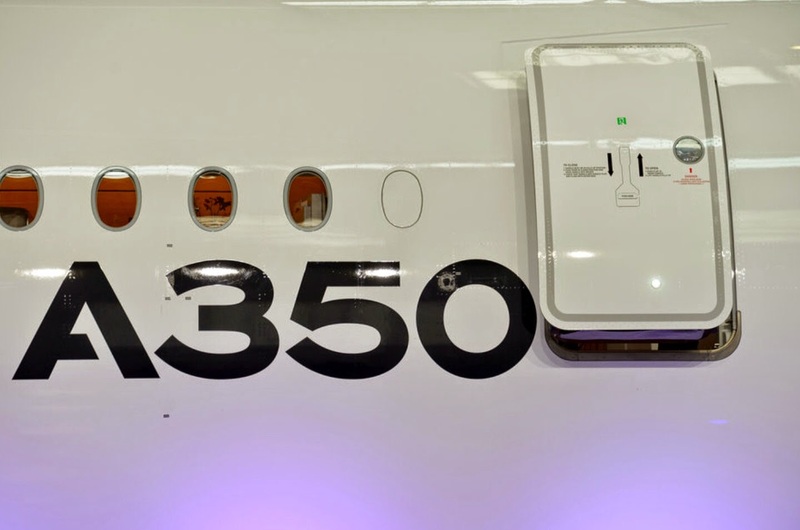 Chris Emerson -senior vice president of marketing at Airbus- cited a subtle change to the cabin walls in the A350's design, saying they're more vertical than on other comparable aircraft models. "You will feel there's no encroachment of the side wall. It doesn't curve into you," he said. 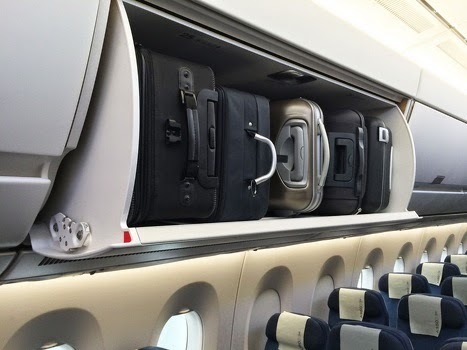 Among the other A350 cabin features cited by Emerson: ever-larger overhead storage bins. 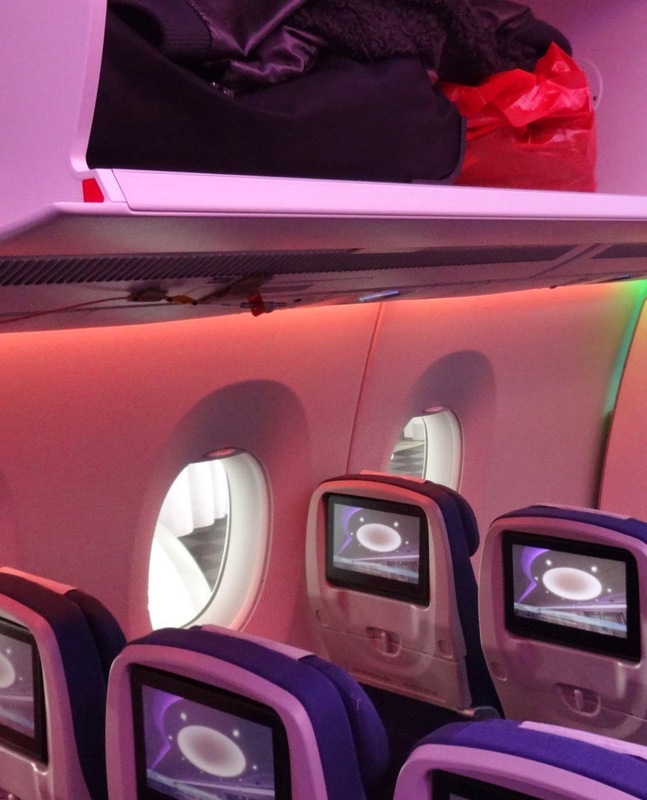 The A350's bins are designed to hold five roll-aboard bags side-by-side in a standard bin. 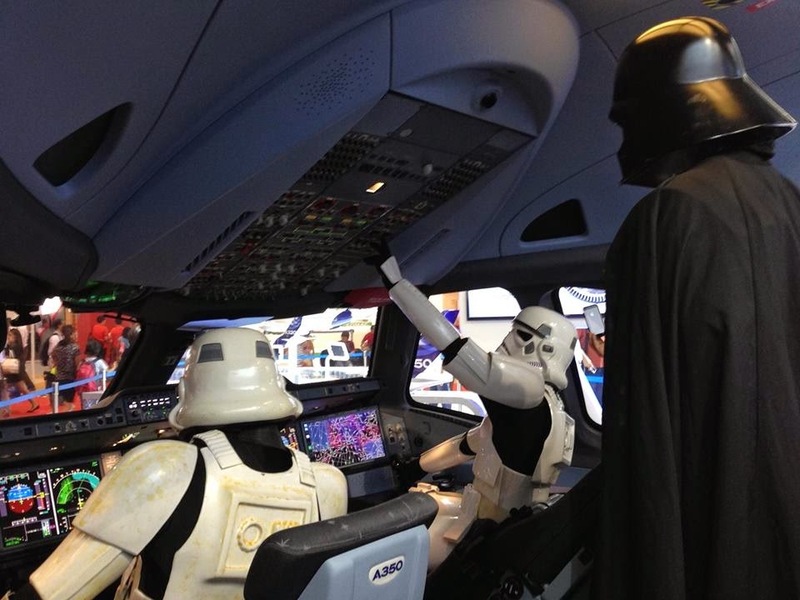 Passengers "want to carry more on to the aircraft," Emerson said. "The worst is (when) you're the last on to the plane and there's no room for your carry-on luggage." In the A350 XWB Customer Definition Centre inaugurated in Hamburg, there are 2 real configuration rooms designed to physically mock up different cabin zones by using original seats, simplified doors and sidewall panels with original contrasts or monuments. 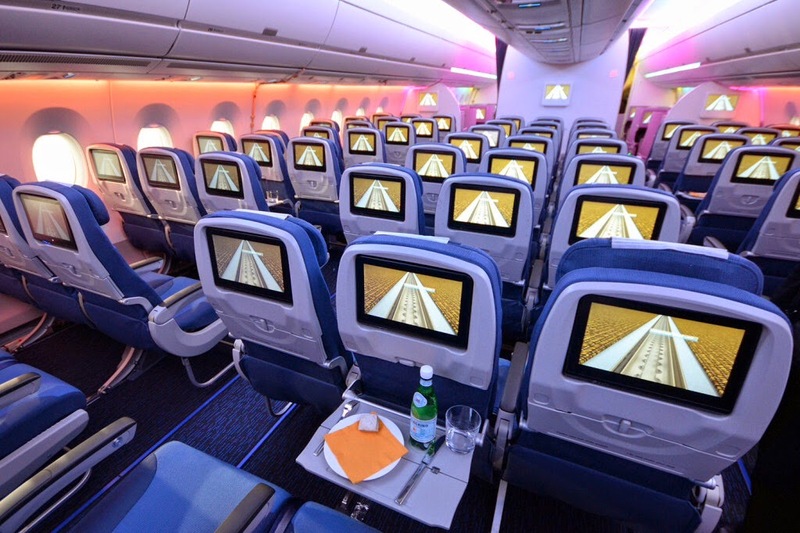 These rooms allow airline customers to test different layouts and feel how their choices will change their passengers’ sense of volume, space and leg room. The CDC –which has 5.000 m2 of presentation and lounge areas- enables the customers to see, feel and test real catalogue solutions in individually tailored zones. 12.000 people working in the A350 XWB program … and growing. Currently, the A350 program employs 12.000 people all around the world and over the next 4 years this figure is expected to increase to 16.000 due to the production ramp-up. "The German development and production share is well over one-third", says Günter Butschek, Vice President of the Group and also Chairman of the Management Board of Airbus Germany. In the German locations of Airbus-Group, around 4.000 jobs were created by the A350 program, mainly in Hamburg – Finkenwerder. Brazil's 3rd-biggest airline, Azul Linhas Aereas, unveiled plans to add 11 wide-body jets from Airbus to start service to the United States. Azul said it would receive 6 Airbus A330-200s in early 2015, when the airline will begin flying overseas, and 5 Airbus A350-900 jets starting in early 2017. Together the planes are worth close to $2 billion at list prices, executives said at a news conference near Azul's hub in Campinas, outside Sao Paulo. The airline has secured leasing deals from industry financier ILFC for 8 of the planes. 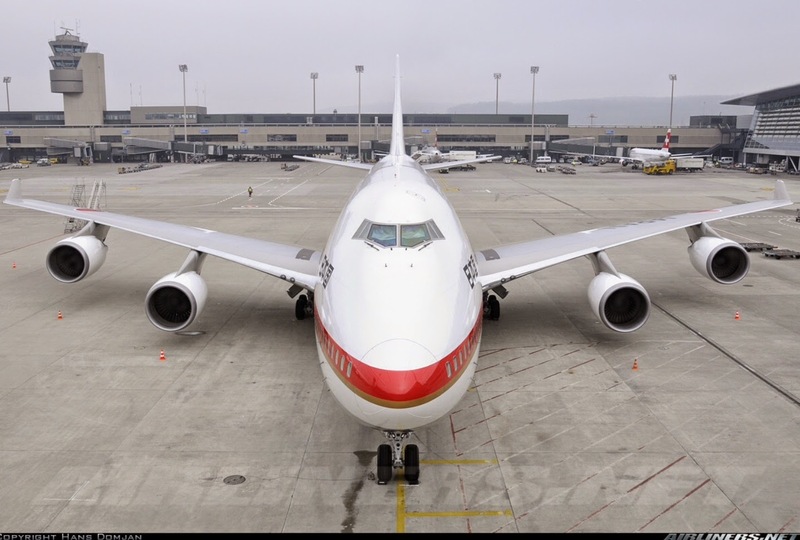 It is still negotiating the lease or purchase of 3 A330s. The expansion will transform Azul, which is controlled by JetBlue Airways founder David Neeleman, from a niche regional carrier into an international player directly challenging heavyweight Latam Airlines Group, which controls Brazil's No. 1 carrier, TAM Linhas Aereas (with an order of 27 A350-900). The strategy contrasts with Brazil's No.2 airline Gol Linhas Aereas, which started domestic service with a uniform fleet of Boeing 737s and now flies those jets to the United States with a layover to refuel in the Dominican Republic. The leasing arrangement does not directly generate a new sale for Airbus. Azul also signed a $400 million service contract with Britain's Rolls-Royce, which makes the jet engines that power the Airbus aircraft. 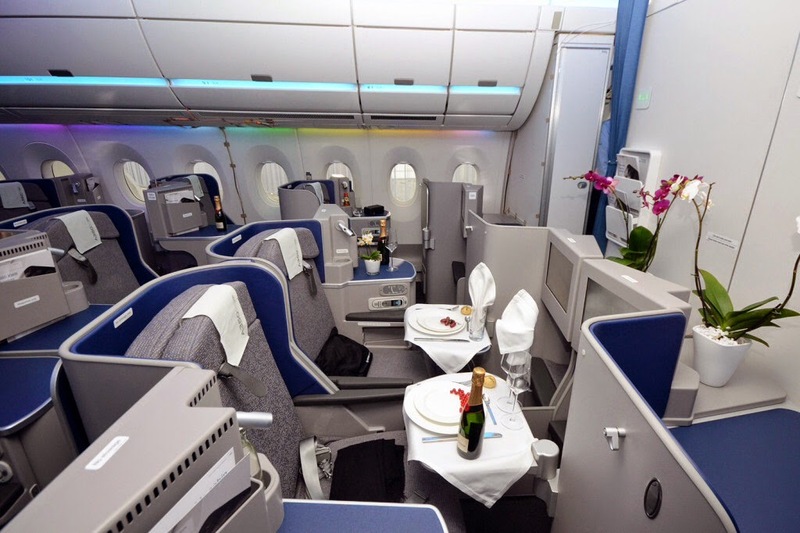 Based on the article “Brazil's Azul adds Airbus jets to start U.S. flights” published in Reuters. Airbus has been testing for some months with the A350 test-fleet what is called V1 engine cut, which is required for takeoff performance certification. In this first video (dated on 19/April/2014) we can watch the MSN3 prototype taking off in Toulouse with the MTOW (Maximum Take Off Weight) take off with a single engine, once the other engine is cut during the acceleration. After achieving the Vr, the aircraft lift off and clears a hypothetical 35ft obstacle at V2. Once the aircraft reaches the minimum climb gradient of 2,4%, the second engine is re-lighted. Click on the picture to watch the video1. Notice that the right engine is off . The smoke from the right engine is produced when this second engine is re-started. This test is the typical failure mode performed in simulator sessions by all line pilots during the standard training. In this second video (dated on 11/January/2014) we can heard the impressive “bang” produced when the engine is cut during the acceleration phase. 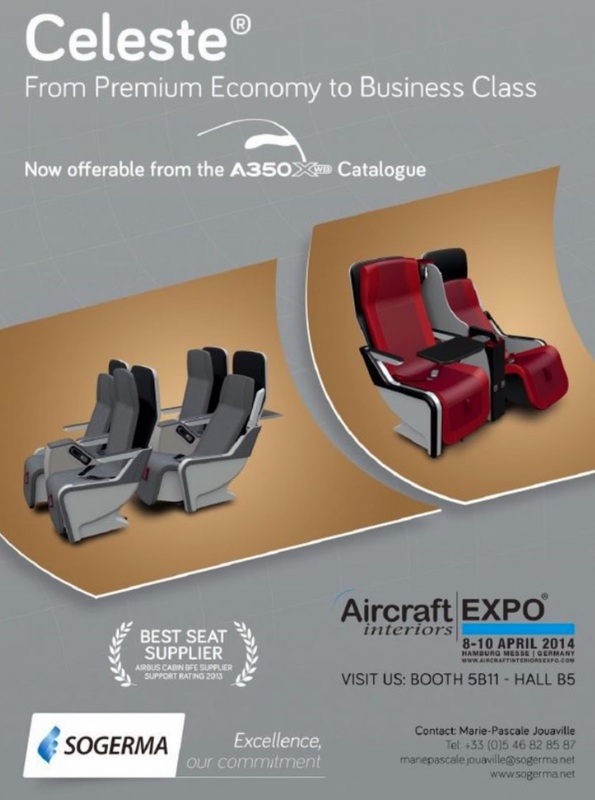 During the Aircraft Interiors Expo 2014 held in Hamburg, Airbus announced new interior choices for A350 operators based on new seats offered by Recaro and Sogerma. 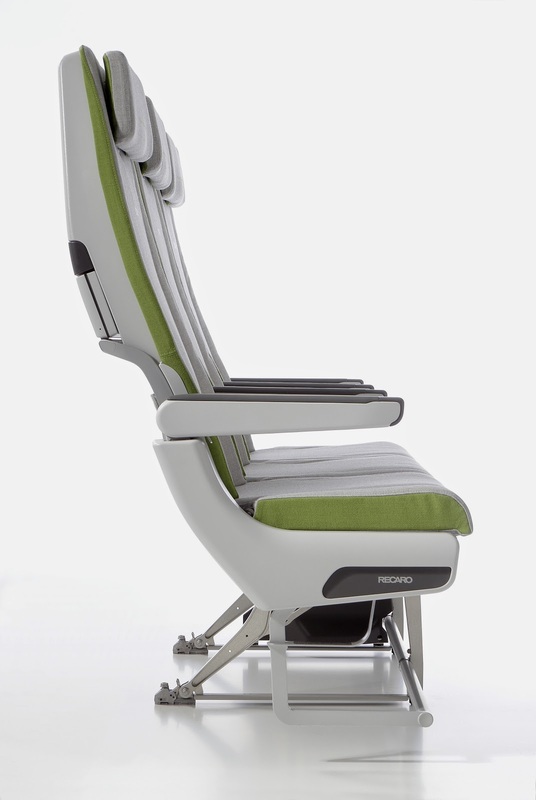 Recaro Aircraft Seating will introduce its new generation, modular seat model, the CL3710, in the A350 XWB Catalogue. The CL3710 combines maximum living space and comfort with an exceptionally light weight. 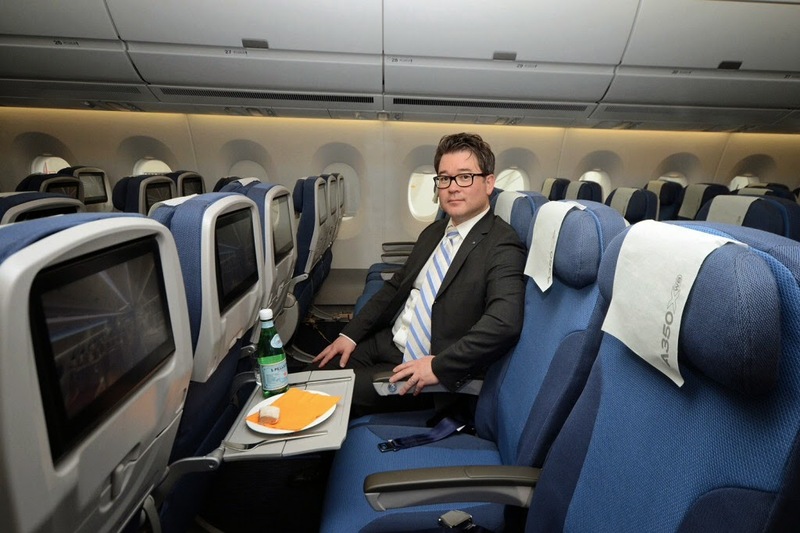 At the Aircraft Interiors Expo in Hamburg, Recaro presented the seat with new features: “We are showing the diversity of the innovative multi-function bridge in the backrest, in which we have integrated USB sockets, a power supply, and a handset,” explained Dr. Mark Hiller, Chief Executive Officer of Recaro Aircraft Seating. The seat gets top marks when it comes to its weight. Designing the CL3710, the Recaro team carefully analyzed every single material, technology and manufacturing process to arrive at the lowest possible weight. This effort resulted in a lightweight seat – in fact, the CL3710 is the lightest in its class. At the same time, the CL3710 provides passengers with maximum comfort. Recaro’s entire expertise in ergonomics has flowed into the CL3710. 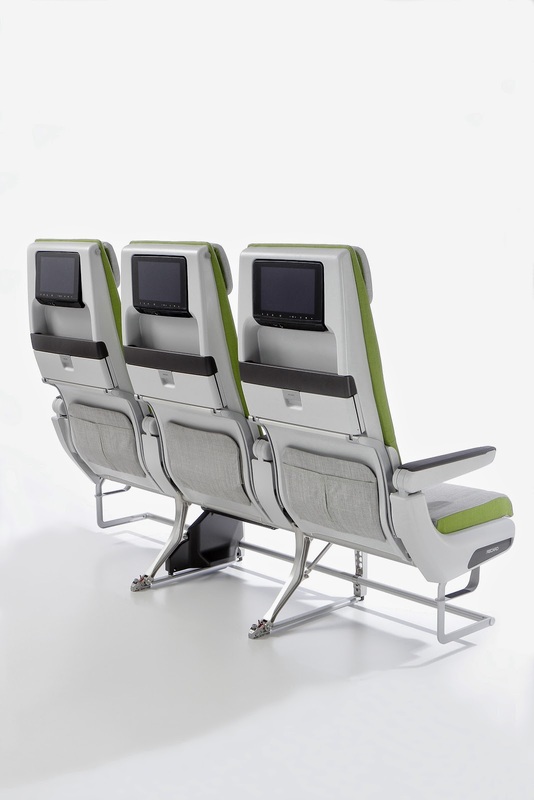 Its new, six- way adjustable headrest, for example, can be better adapted ergonomically to individual passengers, and easily set to accommodate their differing heights. The middle armrests remain completely flush even in recline. The living space offered to passengers is absolutely convincing. The CL3710 offers maximum shin clearance even at a seat pitch of 29 inches or more. 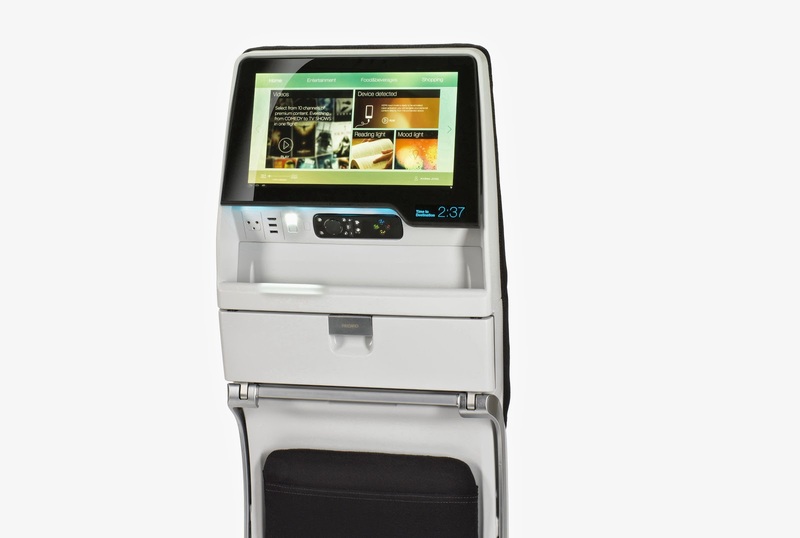 This is a result of features like the patented high literature pocket, placed above the tray table. Two more innovative details created by the Recaro team add a few decisive millimeters: One of the two beams under the seat structure is positioned slightly forward. 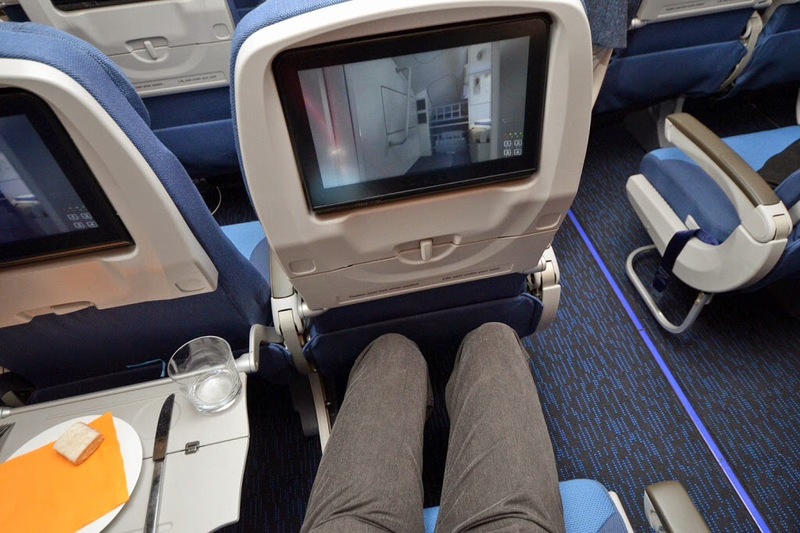 This, combined with the ingenious solution of positioning the Inflight Entertainment System box in a space-saving pancake construction under the seat pan, results in an exceptional amount of passenger leg room. 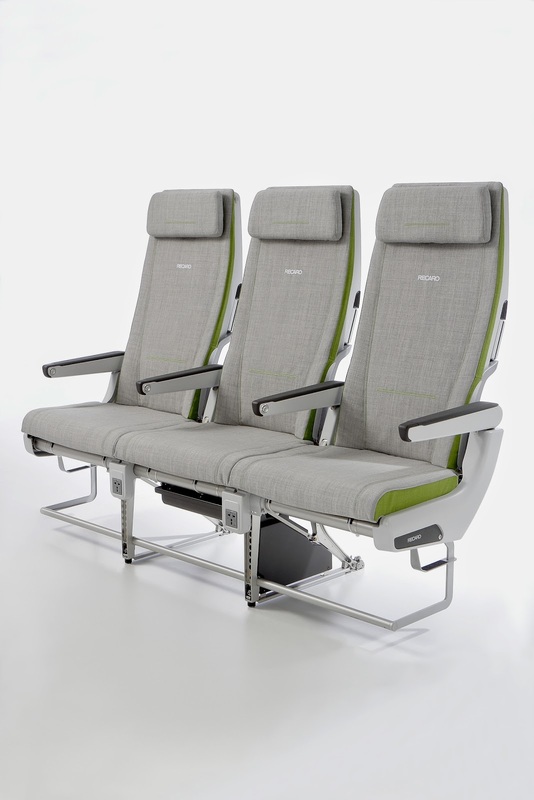 Sogerma has also introduced in the same Catalogue it´s new ‘Celeste cradle seat’ which provides premium economy passengers with a high level of comfort at an efficient pitch. 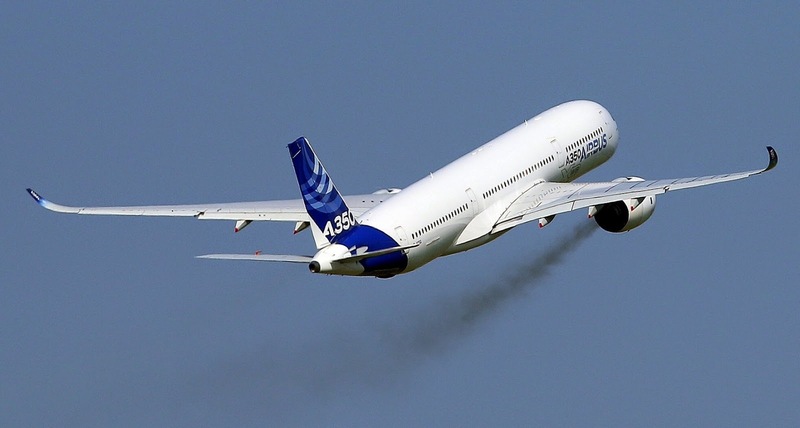 How will be the extreme climatic tests that A350 will pass next month in Florida? The A350 will undergo another round of extreme temperature tests next month, but this time it will use the McKinley Climatic Laboratory at Eglin Air Force Base in Florida. 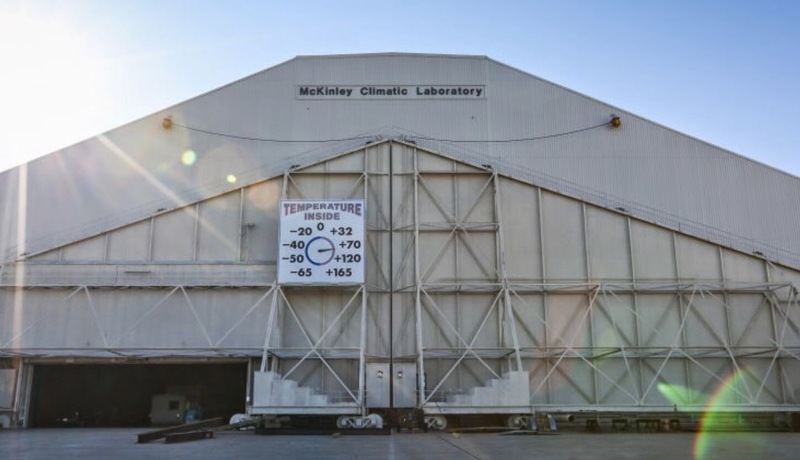 As Bombardier´s second CSeries flight test vehicle (FTV2) is currently performing similar tests in the same facility -Eglin Air Force Base, Florida- we know some interesting details about the extreme climatic tests and the historic McKinley Climatic Laboratory. 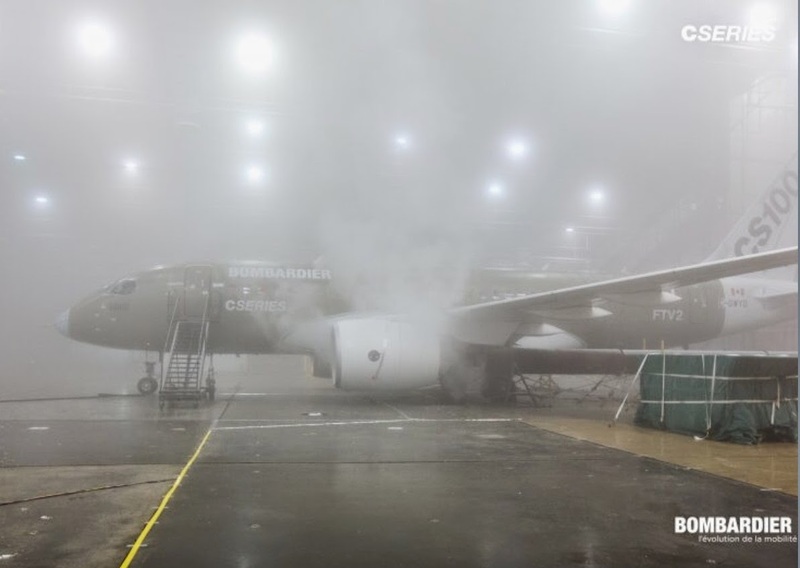 The A350 prototype (should be the MSN2 with cabin equipped) could undergo a series of tests to validate its performance under hot, arid, and extreme cold weather conditions. 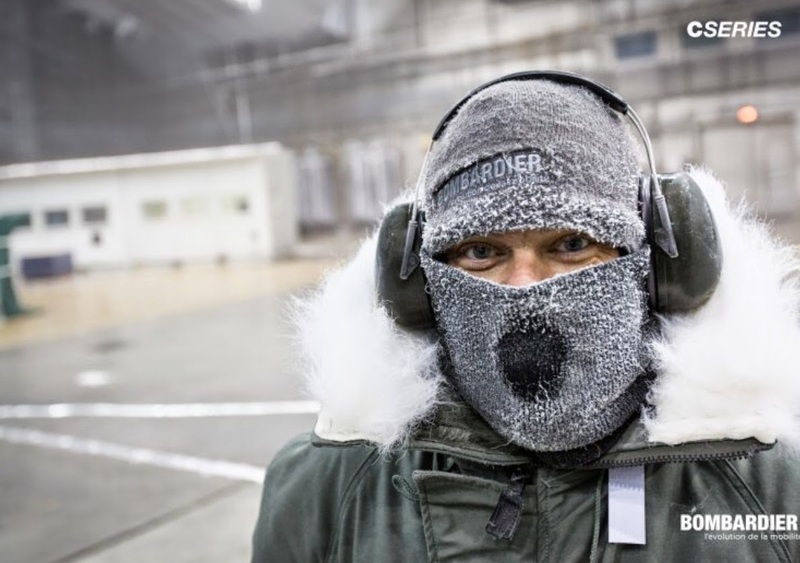 The 1st phase: FTV2 is left overnight in a subzero climatic chamber and started up in the morning. 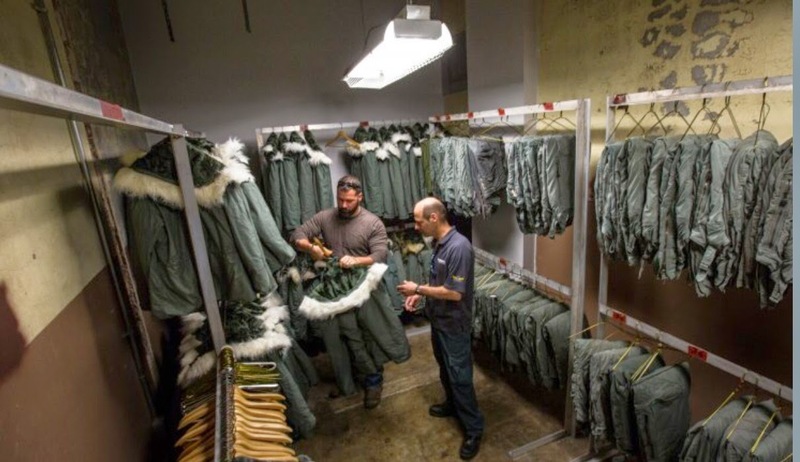 Special warm up procedures to be used by operators under extreme cold conditions will be measured along with the auxiliary power unit (APU), and maximum power engine run-ups performed to ensure correct functionality. 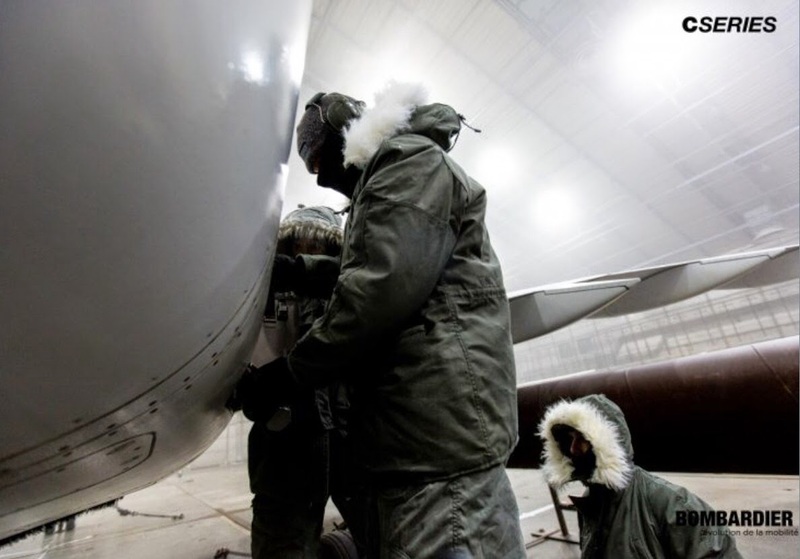 The 2nd phase: Assessment of APU and engine operations in heavy snow; freezing rain and fog conditions; along with aircraft performance during ice buildup. The 3rd phase: Operations under varying degrees of hot weather. Light panels will be installed within the climatic chamber to simulate the sun. 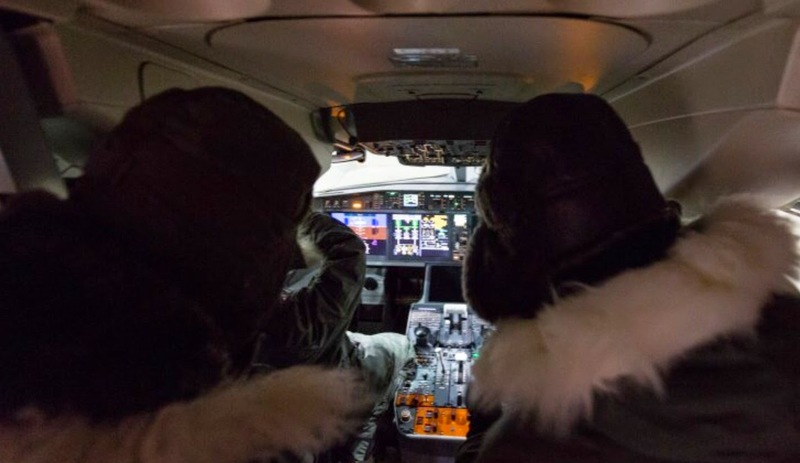 Subsequently, the efficiency of the aircraft’s environmental control system (ECS), or air conditioning system used to cool the cabin in desert climates will be confirmed. Other tests that could occur on site during extreme temperatures include emergency slide deployment, landing gear swings and refuel/defuel tests. 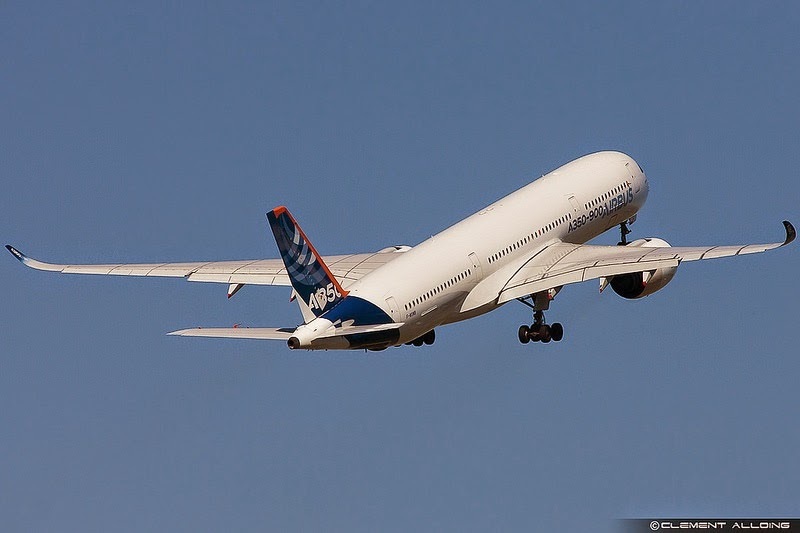 "Airbus had invited all its suppliers to attend the first flight of A 350. When I saw the A350 taking off, I felt a sense of pride. I saw my parts & components flying." Gilles Duqueine will not easily forget 14/June/2013, when the A350 took off for the first time from the airport of Toulouse. 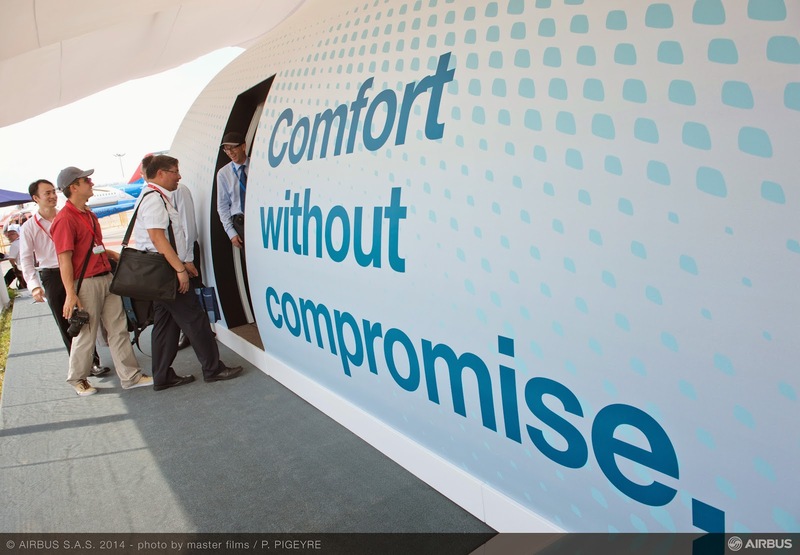 In 2009 everything changed for Duqueine Composites; this small company of 80 people based in Massieux, Rhône-Alpes, achieved a breakthrough at Airbus by winning 4 "work-packages" on the new A350 XWB. "The biggest package is the supply of fuselage frames”. 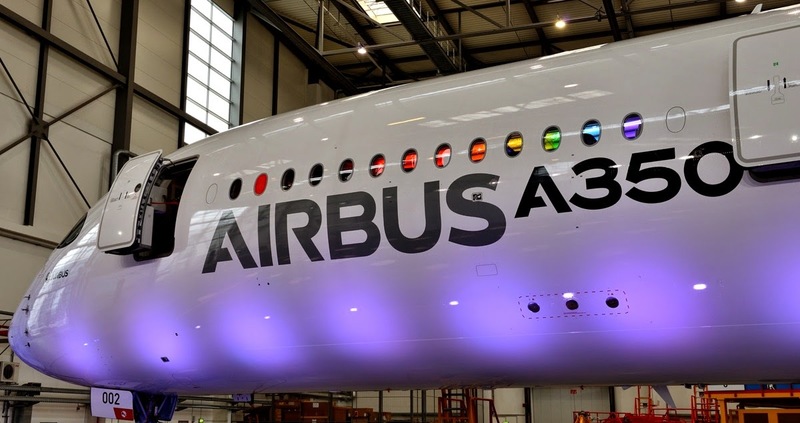 Once aboard A350, the company must take its commitments on rate, time, quality and costs. 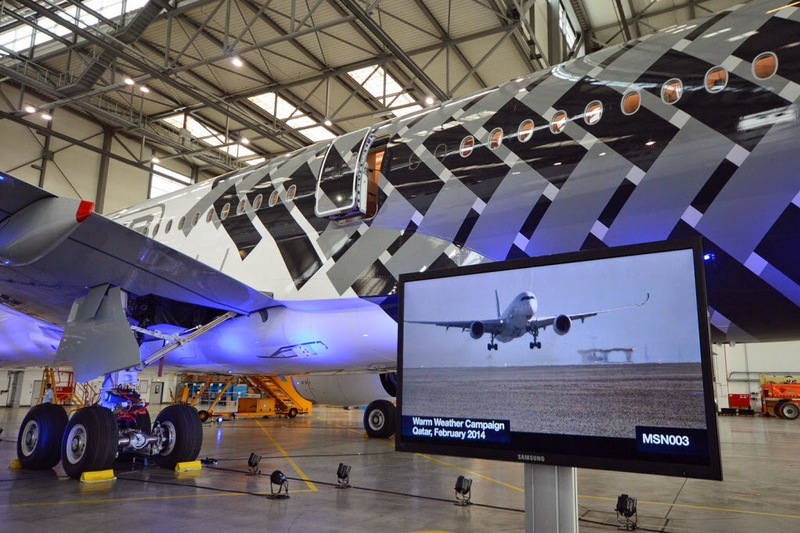 It invested and built a new plant of 14,000 m2 to ­Civrieux, dedicated to A350. 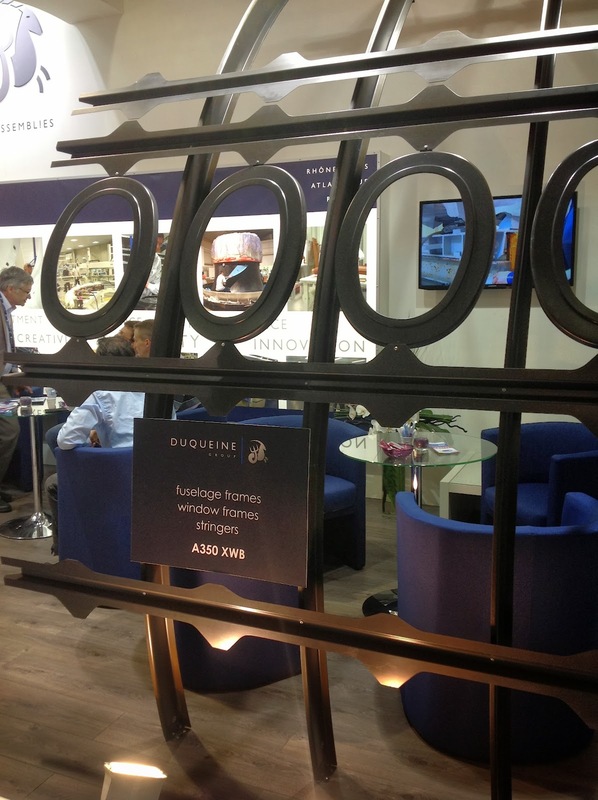 "Currently, we manufacture 5 frames per day. In 2014-2015, we will deliver 3 to 4 aircraft per month. In 2016-2017, we have to quadruple the rate to deliver 13 aircraft per month", said Gilles Duqueine. Duqueine Composites, in 5 years, has multiplied by 6 their sales and has created many jobs; they are now 750 employees. Based on the article “Airbus et Boeing dynamisentles PME de l'aéronautique” published in Le Figaro.